The new show features Courtney Hansen from TLC's Overhaulin' and several other auto related shows and appearances. 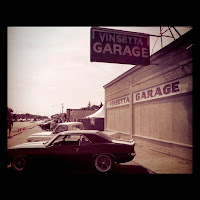 I had a chance to meet Courtney briefly at The Woodward Dream Cruise last summer in Detroit and spend sometime at the gutted out Vinsetta Garage where Autoweek hosted a Dream Cruise party that day. The Garage is an automotive icon. For years, I'd drive down Woodward Avenue always looking to see what classic cars would be in the lot. Being a former 1965 Mustang owner, I'd always perk up when a classic Mustang or classic roadster (other love) was there. The Vinsetta Garage owner sold it early this year. It is the oldest garage west of the Mississippi and many were wondering what would become of the place. That's when Autoweek's Curt Catallo and Crain Communications' KC Crain bought the garage to turn it into a restaurant. 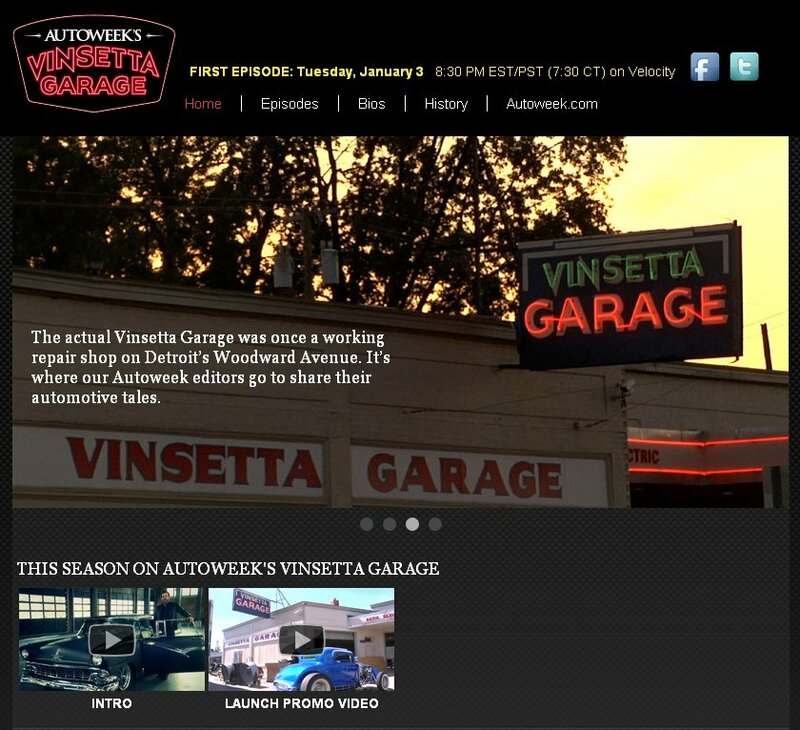 I'm not sure what's going on with the restaurant news that broke in April, but for now Autoweek will be hosting their new show Vinsetta Garage from the place that shares the show's name. It's great to see a host of automotive shows arrive recently including Adam Carolla's Car Show and BBC's Top Gear America. After years of only having Motorweek on PBS, it is refreshing to see some more enthusiast focused shows. Find out more on the Vinsetta Garage website or checkout this teaser video.